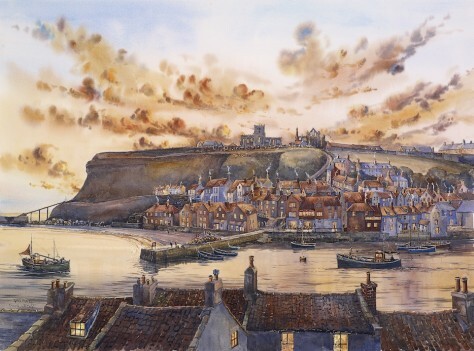 As you can imagine John Freeman has painted this subject many times, capturing it in many moods and seasons. This study introduces a soft dawn light to the subject, a late autumn sunrise casting a warm glow across the cottage roofs, enhancing the colour of the Dutch bricks and clay pan tiles which give the town a warmth lacking in many settlements where Slate and Whitewash predominate. Signed Giclee` Print. Size approx 20" x 15"